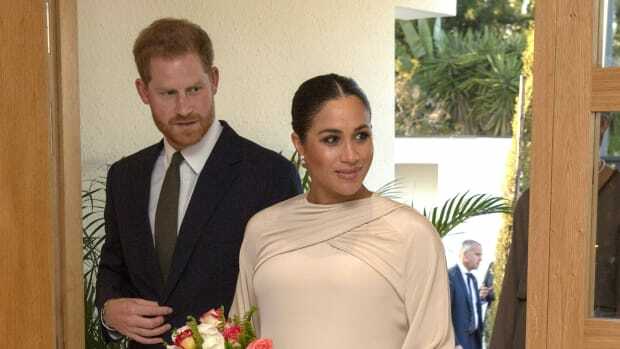 On Tuesday, Prince Harry and Meghan Markle, aka the Duke and Duchess of Sussex, visited New Zealand House in London to pay their condolences following the terror attack earlier this week. For the somber occasion, the Duchess wore an all-black ensemble featuring a vintage coat with a bejeweled collar and buttons. 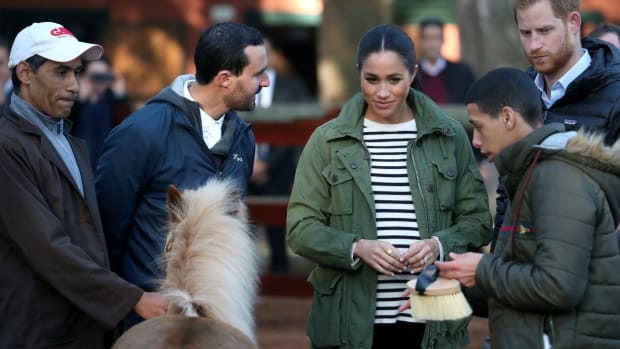 While there are few public photos of whatever the Duchess may have layered beneath the coat, the look was both appropriately somber for the occasion and emblematic of her usual style choices (her outfits often include vintage pieces, cape-like silhouettes and statement outerwear). While the jacket in question was not actually a cape, its exaggerated, voluminous sleeves, slouchy shoulders and roomy fit — perfect for accommodating a growing baby that&apos;s reportedly due within the next few weeks — gave it a cape-adjacent feel. 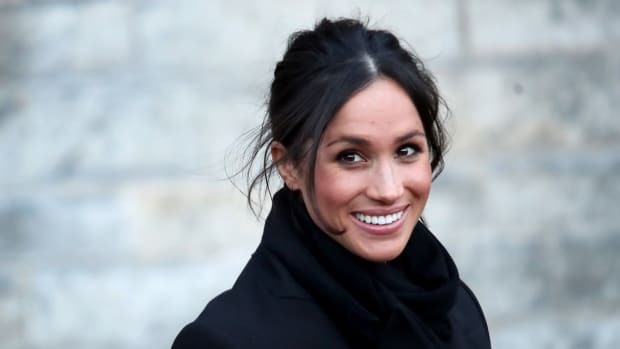 The Duchess completed the look with black pumps, a black satin clutch and Boh Runga earrings, a particularly meaningful accessory, given that they were a gift New Zealand Prime Minister Jacinda Ardern presented to the Duchess back when the royal couple toured the country in October of last year. 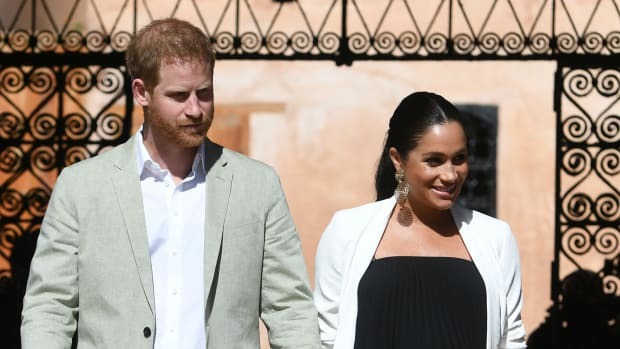 The Duke and Duchess of Sussex closed out their Moroccan tour on Monday.